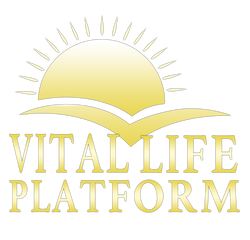 Cellular Environment - Vital Life Platform | Better Than Ever! Walk in nature, eat plants from organic, mineral and enzyme-rich soil. ​Standing directly on the earth without shoes or socks and being present to your breath and the elements around you can recharge your body-energy. The soil is our natural grounding station. Mother Earth provides magnetic energy that helps to balance and harmonize our cells. There is an eletro-magnetic field that radiates from the Earth and cleanses and balances the energy systems within your body and mind. It is vital to connect with the Earth each day. Whether it's going for a walk, or swimming in a lake or the ocean. Or possibly just going out in your yard and standing on the grass for 15 to 30 minutes at a time. This is discharge any static energy, or energy that is weighing you down. It is also essential to consume plant-based living foods, from soils that are enzyme and mineral-rich. Organic soil is superior to conventionally farmed soil - as you likely now. It's MOST ESSENTIAL that all our fruits, vegetables, herbs, grains, seeds, nuts, roots and berries, come from organic, bio-dynamic, locally grown sources. When investing in Superfoods, it's important to inquiry about the quality of soil these foods are coming from as well - which are often not able to be locally sourced. Lastly, the EARTH is our MOTHER. Our MA as in MATTER which is physical like the Earth. ​"And the Lord God formed man of the dust of the ground, and breathed into his nostrils the breath of life and man became a living soul." Visit the ocean, drink pure, alkaline, structured water at your best. ​If you have access to geothermal water created by Mother Earth you are in good shape - drink that every day. ​However, the next best step is to get a powerful ionization device with proper filtration. ​Next to air, we cannot live and have our being on earth without water. Water is so vital to life, that without it we would not exist. Understanding water as it relates to our health and well-being is a crucial key to mastering the art of living a radiant, vibrant and healthy life. Without water plants cannot grow; it allows us to have communication between our cells. And the quality of the water that we choose to put into our body will contribute to the quality of our cellular communication and body systems. What allows us to bring ourselves to the best water ever is knowing and believing first off, that it is possible. As Mother Nature provides us with unlimited abundance of water that comes from deep within the ground. If you have to purchase water, bottled water in glass is good. It's BEST to get Spring Water, or Artisan Well Water, or Glacier Water. Drink half you body weight in oz. (So if you weigh 100 pounds, drink 50oz/day). Sunlight on your body, 30 to 60 minutes a day for vitamin D, detoxification and more energy. Be aware that if your body is still toxic to go slow with it. Once the temple becomes more lean, clean, and serene the more you will be able to sun bathe without any ill effects. Skin Cancer is simply toxins coming out of the skin. Beyond the Creator of Life, the Sun is the great source of energy and life for us here on Earth. We could not sustain life on planet earth without this incredible, abundant powerhouse of a star. It is one of billions of stars that gives off that omnipresent vibration of service through the power of light.The sun just gives and gives and gives. ​The people who are living the longest on the planet right now, are those who are devoting plenty of time under the Sun. Especially while being grounded on the Earth in their garden or out in nature. The sun is our source of positive, radiant, healing energy, vitamins and vital-life-force or prana. It is wise to do our best to be exposed to the Sun at least a little bit each day. If you are dealing with detoxification or some sort of illness, be cautious about when you go into the sun and for how long. Allows our vegetables, fruits and food to grow. Soothes your mood and boosts your energy, with just a few minutes of sunlight. If you are feeling joint pain, the Sun energy can help to alleviate some of that pain. Getting enough sun each day will help you to sleep more soundly. Sunlight increases the production of endorphins and serotonin in your brain which will definitely leave you feeling much better. The ultra-violate rays of the Sun help to eliminate parasites, bacteria viruses and pathogens. Helps to stimulate good circulation of the bodily fluids. What are the best times to be in the Sun? 12:00pm - 3:00pm is the hottest part of the day and should be a time of extra caution when being in direct sunlight, unless you have built a tolerance. Do not go to sleep in the sun. You may wake up and find yourself with a severe burn. Ouch! If you have fair skin, be more cautious. Your skin can get burned easily which your skin at a higher risk of getting skin cancer. Start with 3 – 4 minutes of exposure each day and slowly and gradually work your way up. Get out of the sun if you start to get pink or feel your skin burning. When you Control YOUR Breath, You Master Your Mind & Connect with YOUR SPIRIT! There is more to the air than just the oxygen. The ancients have known for thousands of years what scientist are now proving to be an unlimited amount of potential energy, existing between the particles than we can see with our naked eyes. 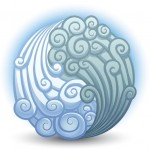 This energy is often called PRANA, Life-Force, Spirit, Chi, Qi, among other names. ​Air is also known as the Breath of Life. One of the most important things in life, next to loving each moment, is to master is your breath. If you are someone who aims to become masterful at the art of living a radiant, vibrant and healthy lifestyle, then the practice and understanding of the power of CONSCIOUS BREATHING IS ESSENTIAL. The word breath comes from Latin, espiritus, which translates to spirit. That is why when we are inspired we take a breath in, and when we expire we stop breathing, and when we breath together we conspire - also... did you notice that your breathing mechanism is called the respiratory system. So therefore the more we consciously breath long, slow and deep, the more we live abundantly inspired lives. Plus there is vital energy within the air - that invigorates and sustains all life. So the more we bring this into our being the less degrading energy can live in our mind, heart and body. Imagine that each breath you take you are sipping holy nectar and it's FEEDING EVERY CELL of your body VITALITY!